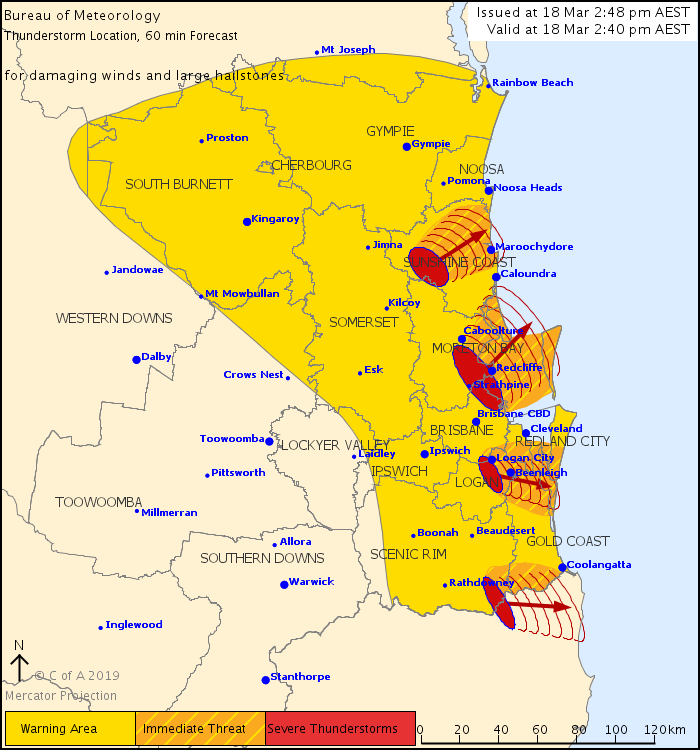 Update @ 5.00pm: The Bureau of Meteorology has issued a fresh severe storm warning for parts of the southern Gold Coast and the Tweed as storms continue to hit parts of the south-east. The BOM warned that at 5:00-pm severe storms were located on the radar near the New South Wales border. These thunderstorms are moving towards the east to northeast. 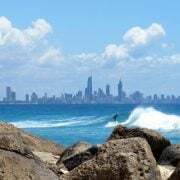 They are forecast to affect Coolangatta and Miami by 5:35 pm. Dangerous winds and large hailstones are likely. Earlier @ 2.45pm: A severe storm warning has been issued for the Gold Coast with a fast-moving cell tracking towards the southern end of the coast and the Tweed. Areas further along the New South Wales north coast are also expected to be impacted. Another storm cell continues to track north of the Gold Coast. The Bureau at 2:40 pm, severe thunderstorms were detected on the weather radar near Strathpine, Conondale, the McPherson Range, Crohamhurst and Logan Village. These thunderstorms are moving towards the east to northeast. 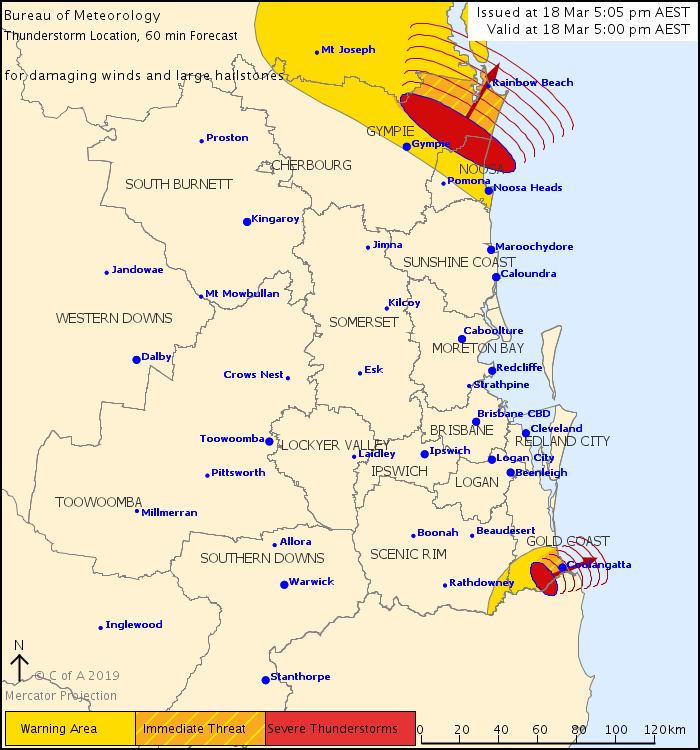 They are forecast to affect Beenleigh, Logan City, Redcliffe and Caboolture by 3:20 pm. Earlier @ 1.30pm: A general severe storm warning has now been issued for the Gold Coast as more severe storms head towards south-east Queensland. While no severe storms are currently tracking towards the Gold Coast, the Bureau warns that they could develop over the next few hours bringing damaging winds, heavy rain and hail. 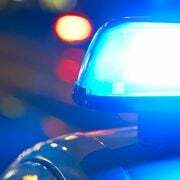 The Bureau warns that locations which may be affected include Gold Coast, Toowoomba, Brisbane, Dalby, Ipswich, Kingaroy, Coolangatta, Caboolture, Cleveland, Gatton and Jimboomba. Earlier @ 1.15pm: More severe storms are heading towards the south-east with the Bureau of Meteorology issuing its first warning of the afternoon. 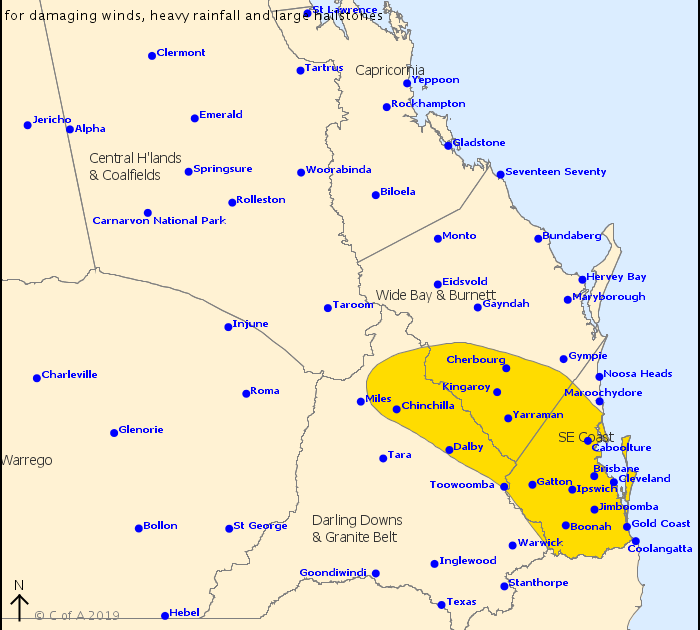 The Bureau warns that at 12:35 pm, severe thunderstorms were detected on the weather radar and are likely to hit the Scenic Rim, Logan, Brisbane and Moreton Bay. 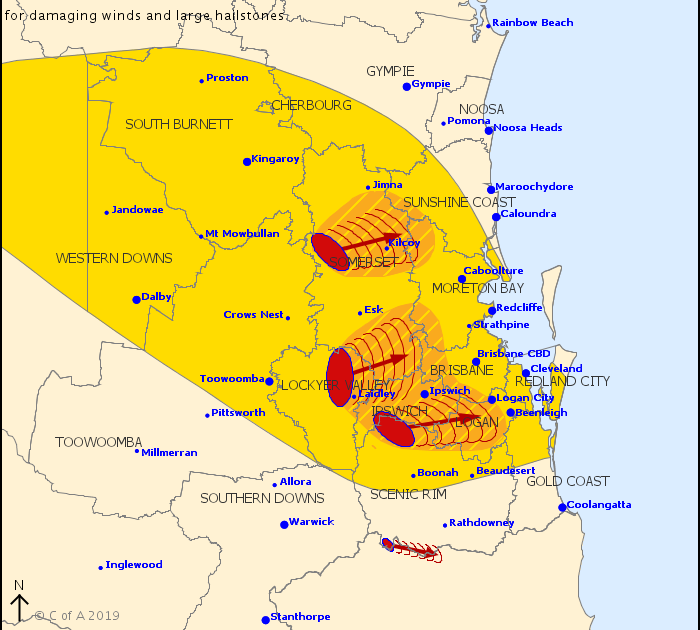 The storms are currently moving to the east and are forecast to affect Harrisville, Peak Crossing and the area south of Amberley by 1:10 pm and Ipswich, Greenbank, Redbank Plains and Amberley by 1:40 pm. 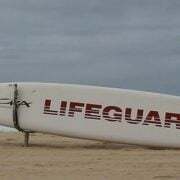 Storms are also expected to hit the Lockyer Valley and Sunshine Coast. The Gold Coast is not currently included in the warnings but the Bureau warns that could change throughout the afternoon. The next warning is due to be issued by 1:45 pm.